Jean Wung Chang writes in her article that Wung Sam Sing ‘took his bride to Greenbank’. She was in error when she stated Waipio. 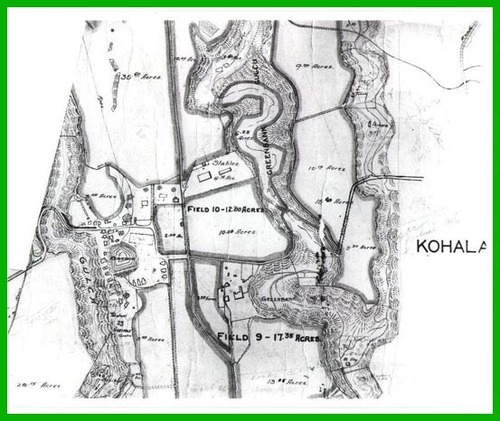 Greenbank is in Halawa, N. Kohala. The estate was purchased by Dr. James Wight about 1860 where he built his homes, etc. Jean heard and stated that Wung Sam Sing was a taro farmer for a ‘number of years’ after his contract at the Sugar Plantation as well as number of years before he asked Kong Tet Yin to find him a wife. Jean also assumed that Greenbank was owned by Father Bond and had worked for Father Bond’s Taro patches. Greenbank was named by Dr. Wight and purchased in 1860. So either Wung Sam Sing worked for Father Bond and then moved to Greenbank and worked these taro patches. 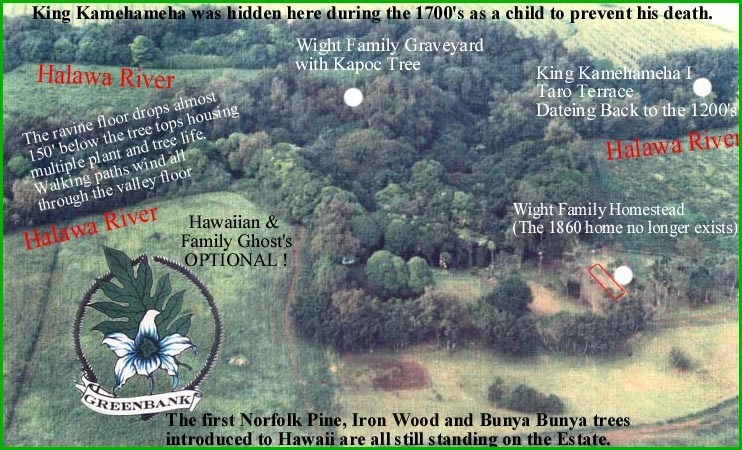 I could not find any info that relates Father Bond to Greenbank other than Father Bond and Dr. Wight were the few haoles living in Kohala at the time. Jean Wung Chang in her article in ‘Wung Sam Sing family of Kohala stated a few things. 1. Kong See Yin, which I believe is Kong Tet Yin, went to Hong Kong to get a few wive’s for Chinese men including Wung Sam Sing. Wong Loi Yu came back to Hawaii to marry him. and got married almost immediately upon her arrival. Kong Tet Yin was coming back to Hawaii about the middle of 1883 as stated in this excerpt I found in ‘The Friend’. Kong was back in June as Rev. Bond states that he paid him 200 dollars in regards to the chinese church in another article July 1883. 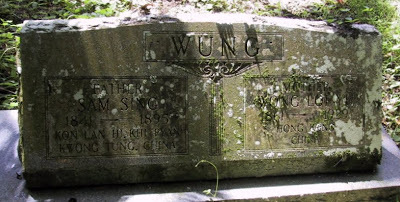 The eldest child of Wung Sam Sing, En Kyau, was born June 8, 1884. 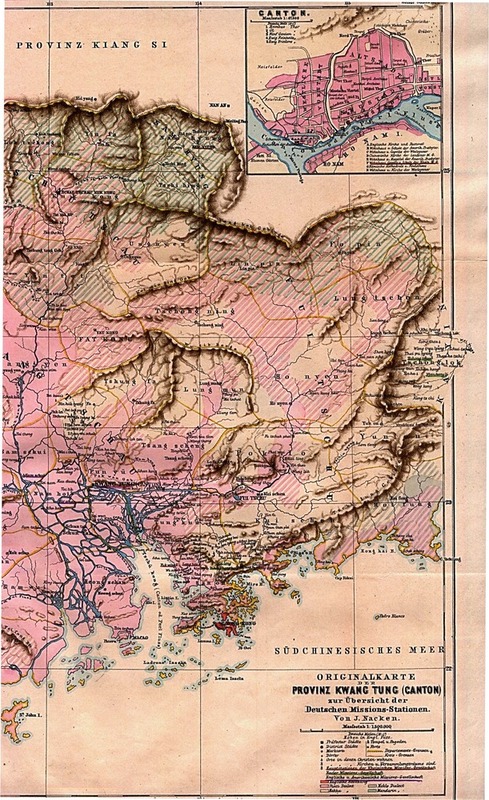 Kon Lan Hee Pang, where Wung Sam Sing, came from is in the Dongguan District of Kwangtung Province. Here is the Chinese characters written by a friend. Hee is village/fair. and Pang means tent built by either cotton cloth or bamboo with straw. On Wung Sam Sing(Shin) tomb, En Leong inscribed this home town (Kon Lan Hi Khi Pyan) which must be the Hakka pronunciation. Jean Wung Chang mentions that the village was a place where they would bring their stuff to ‘sell’, build up the market with tents, and then break them down after- like a farmers market. 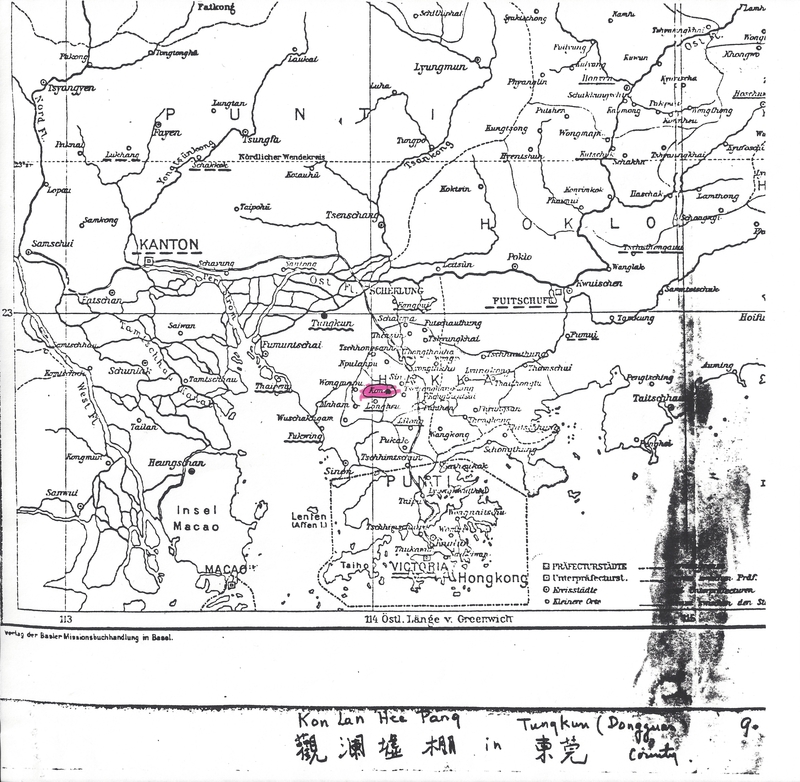 Jean Chang got a letter from a Mr. Kong LIU describing where Kon Larn Hee is located. You can read it here. The pdf file copied the page in overlapping style. Jean got a old German Map here that shows Kon. It is marked in pink. 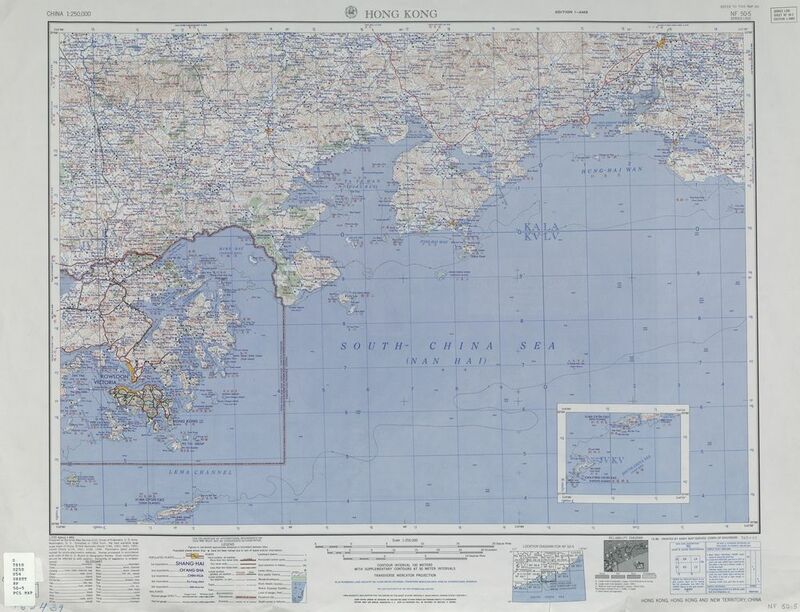 This army map 1954 shows Kon Lan also spelt Kuan Lan Hsu with the chinese characters above. THis article talks about Sun Yat Sen and Father Bond as well as Kong Tet Yin, who worked with Father Bond and who may have brought Wong Loi Yu to Hawaii. THis also talks about the Hakkas in Hawaii. Go to http://userealbutter.com/2012/02/22/chinese-xo-sauce-recipe/for another xo sauce recipe. �She has good pictures and stuff.